This month our feature animal is the majestic lion. An ever popular animal in children's literature, especially for younger readers who may enjoy 'roaring' along with the pictures! This month again we will take a look at an illustration, archival item and a book to explore three very different elements of our collection. Our first example this month is this beautiful work from the Australian illustrator Robert Ingpen. Currently on display in our Rhyme Around the World exhibition (click here to find out more and how to visit), this artwork is executed in graphite pencil, acrylic paint and pastel. It is just one of the many different contributions from 77 different illustrators, collected together by co-founder of Seven Stories, Elizabeth Hammill. Elizabeth chose nursery rhymes from around the English speaking world, and presented them together in one volume, with fantastic, newly commissioned illustrations. This particular artwork was one of two submitted by Ingpen, and is the one that was used in the final book. The other work, for 'Humpy Dumpty' unfortunately didn't fit within the book's structure, as there was a limit of maximum one double spread per illustrator. If you look very closely, you can also see that Ingpen has included Hammill's name in the illustration - 'Hammill's Breads and Cakes'. 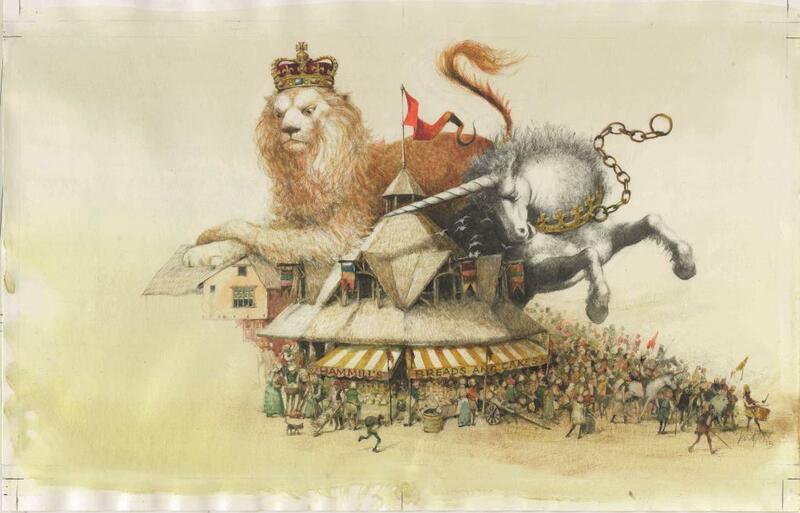 The illustration is for the very well known English rhyme 'The Lion and the Unicorn'. The first written record of the rhyme is in 1709, shortly after the Act of Union between the English and Scottish parliaments and the formation of 'Great Britain'. It is possible that the rhyme refers to fights between the lion (England) and the unicorn (Scotland) - the royal coat of arms having been amalgamated earlier in the seventeenth century to show both beasts after the crowning of the Scottish King James I as King of England. To buy a copy of this book, with all proceeds going towards supporting Seven Stories, National Centre for Children's Books, click here. This month's example of archival material is taken from Elizabeth Laird's The Prince Who Walked with Lions. The story takes place in a location Laird has often returned to in her work, Abyssinia - modern day Ethiopia, having lived, worked and travelled there extensively. It is based on the true story of the young prince Alamayu, whose father has been murdered by the British Army. Set in 1868, during the Abyssinia Campaign, Alamayu is taken by the British back to England, and sent to boarding school there. The section shown in the image above is taken from the printed typescript, the archive also holds an earlier hand written manuscript, written predominantly on the back of printed correspondence, research and typescripts for other books. In the pictured section, close to the end of the book, Alamayu has a very moving meeting with a caged lion, part of a travelling 'menagerie' that has come by his school, and he feels a strong connection to this symbol of his home. The Elizabeth Laird Collection, donated by the author in 2012, consists of draft material and correspondence relating to 25 of her published novels for children, including the Carnegie nominated Secret Friends, Jake's Tower, The Garbage King and Crusade. 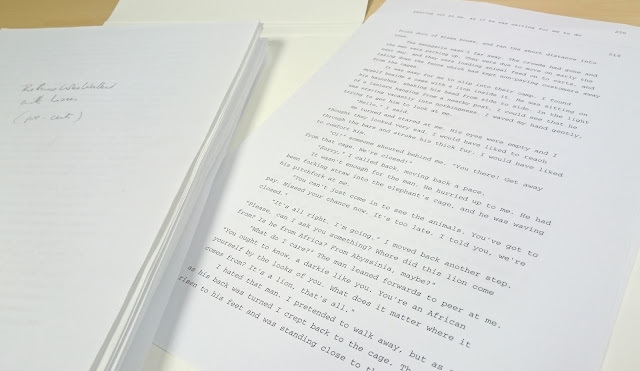 There are also re-tellings of traditional stories and anthologies edited by Laird, material relating to the British Council project collecting traditional stories in Ethiopia and a small quantity of personal papers. To find out more about Laird's work in Ethiopia, or to explore The Ethiopian Story Collecting Project set up by the Ethiopian Ministry of Education and the British Council, click here and here. 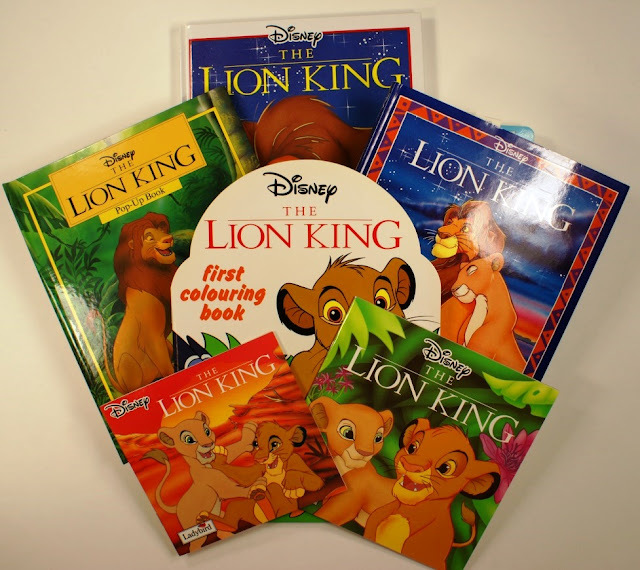 This month’s featured books are copies of Disney’s The Lion King in a variety of editions, which were all published by Ladybird Books to tie-in with the American animated musical film produced by Walt Disney Feature Animation, and released by Walt Disney Pictures on June 15, 1994. The Lion King is the story of Simba, a young lion who is to succeed his father, Mufasa, as king. However, after Simba's uncle Scar murders Mufasa, Simba is manipulated into thinking he was responsible and flees into exile in shame and despair. Throughout his childhood, Simba is given some valuable perspective by his friends, and his shaman, Rafiki, and once he’s grown-up he returns to challenge Scar to end his tyranny. The film has led to many derived works, including a Broadway adaptation, a sequel The Lion King II: Simba's Pride (in 1998) and of course, a whole host of film tie-in books, as above! These illustrate the brilliance of Ladybird books in producing multiple formats of the same title, aimed at a variety of audiences in terms of reading ability (length of text, quantity of illustrations, and level of activity) and at a range of affordable prices for different pockets. There is a film tie-in book for everyone! These six books are from our Ladybird Books Collection. This collection was donated to Seven Stories after the publisher Pearson decided to fully merge Ladybird into its Penguin Books subsidiary, and the Ladybird offices and printing factory in Loughborough were closed. This happened in 1998, and much of the company's archive of historic artwork was also transferred to public collections at the same time. Our Ladybird collection consists of over 2,000 books and includes more than 1,500 books in the traditional Ladybird format, more than 200 ‘Disney’ related books, and about 250 items in a variety of other formats including: bath, cloth and board books; activity, sticker, and colouring books; cassette tape and book packs; and even friezes.